Autumn is such a great time of year! It gives us all a sense of relief and a moment to catch our breath after the busy, warm summer months. 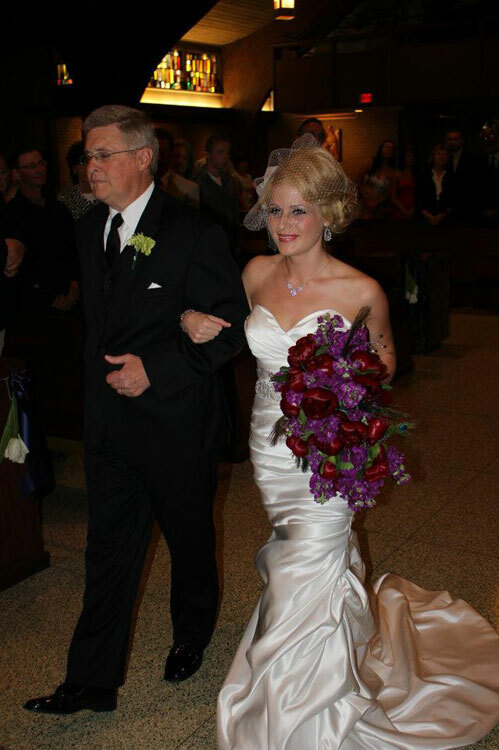 What a perfect season to have a wedding! Not only does this fresh season bring a crisp breeze, but it magically changes the colors of our world from the bright pastel shades to the rich, deep and subtle warm hues of fall. With the gradual change of colors and a vast variety of color palettes, brides have so many options for their custom wedding flowers. Here are a few of our favorite designs for autumn wedding flowers. Remember, that every flower is as unique as the bride. Customize your flowers to portray your personality and style. What will your wedding flowers say about you? Would you dare to test new waters with those unpredictable rich hues of purple, burgundy and silver? Strut your stuff on that magical day! A combination of classic sophistication is portrayed in this cascading floral bouquet of burgundy peonies, purple statice, and accented with rich peacock feathers. 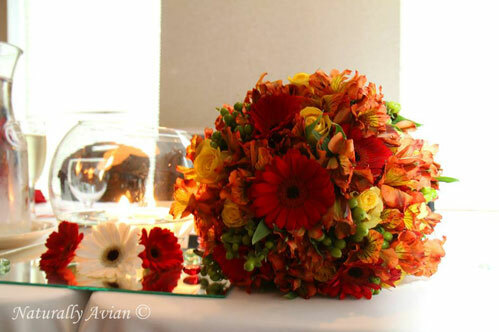 Do you prefer the predictable fall shades of red, orange and yellow to brighten your bouquets? These warm hues of gerbera daisies and alstromeria will take your breath away while you sip of glass of merlot enjoying your first evening as a married couple. Will you choose an unforgettable flower that makes a bold statement? These sensational calla lilies of yellow and orange tints embody the fantastical combination of roses, ranunculus and freesia leaving a lasting impression. 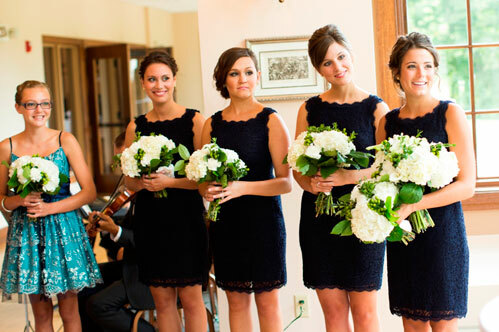 Navy can be the perfect color for an autumn wedding. It can be paired with many dazzling flowers and a multitude of colors. Create a calming array of whites and greens against the mystique of a navy lace silhouette. A design of white hydrangea with a touch of green hypericum berries and lemon leaf create one of those bouquets we want to last forever. 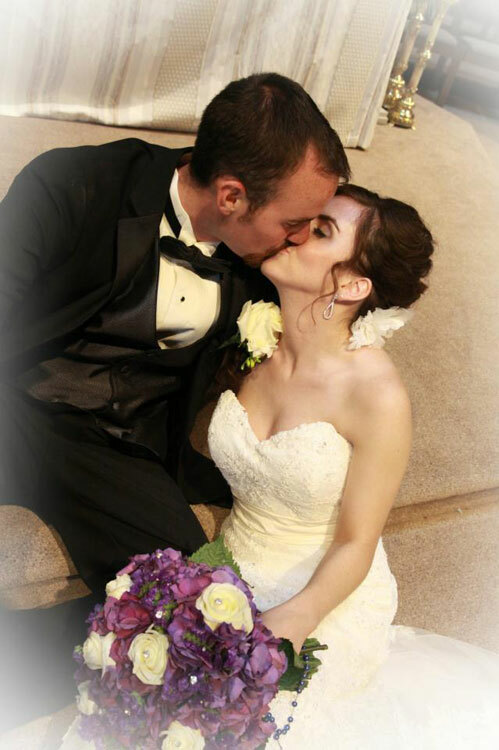 A happily ever-after! 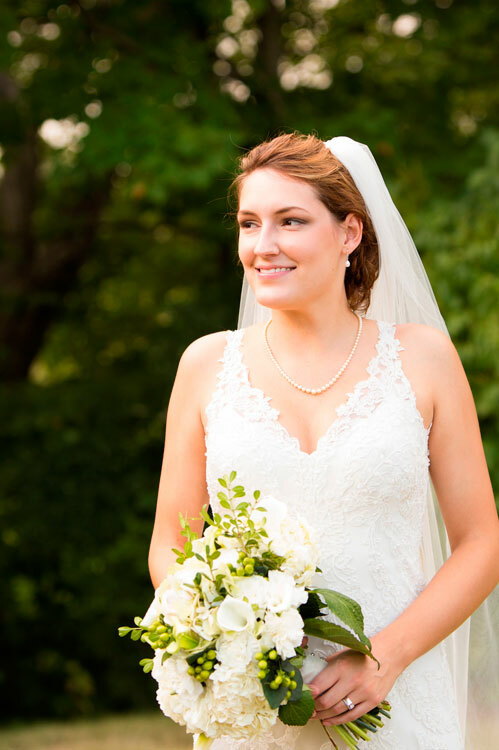 Danielle Marie, the owner of DMH Custom Floral Designs, provides traditional flower arrangements with a modern twist for each and every bride’s unique vision for that magical day. She strives to to express originality, creativity and beauty through flowers. Every flower tells a story ~ what’s your story?